The Coalition to Save Manned Space Exploration: Thank You and Please Donate for 2017! To the Moon and Mars! Great New Opportunities in 2017. Thank you so much for your support in 2016! Beyond the many exciting advances this year in the space program, including successful booster landings by Space X and Blue Origin, and the first test of the Bigelow inflatable habitat on ISS, the most important news is that the incoming Trump administration has pledged to seriously refocus our space program on real space exploration, and to forge greater commercial space partnerships with NASA. At last, real missions to the Moon and Mars may be formulated. But in spite of the expected administration support, the dream we all share could be betrayed by a hostile media, self-serving bureaucrats, budget cuts, and political opposition. Without external support from groups like Save Manned Space, the inertia in Washington against change could be too powerful to make a real difference. Meanwhile China seeks dominance in space, just as they do in the South China Sea. Time is of the essence, and if America follows the same path as the last eight years, we could see Chinese military-run bases on the Moon and Mars long before American bases. Space dominated by China would be hostile to commercial space. But there is hope. Real hope that for the first time in too many years, America can harness the American spirit and the and make real and fast progress. This year, the Coalition promoted the bold vision for revitalizing our space program to the presidential candidates and to the winner, Donald Trump. The plans promoted how America must enact near-term plans for Lunar and Martian bases and the 2021 Mars-Venus flyby. The Coalition increased its outreach to many news outlets including publishing an op-ed on Trump's space goals, contacts with Congress, and the Director gave four speeches and participated in a debate at the Mars Society's International Convention. We will work with the new administration, Congress, space advocacy organizations and the public to make 2017 the year that we actually start on a genuine path to the Moon, Mars and beyond. Save Manned Space's non-partisan educational campaigns will educate decision makers in Congress and the new administration on the immense benefits of remaining the leader in space exploration, and why we must and can go to the Moon and Mars--far sooner than we were told was possible. Remember, we went to the Moon from scratch in just 8 years. It is possible if the administration gets a fast start, to make up for the lost 8 years, and land Americans on the Moon again before 2021. And to build a functional base on the Moon before 2025, and be well along the path by 2024 for the first Mars landing in the 2030s. One reason fast action is essential? Imgaine if we set forth on a path to the Moon and Mars, and a different president is elected in 2020 and cancels everything again. Let's not make it easy for a future president to de-rail what we can now build. It's not the technology that's keeping us traped in low earth orbit. After all, your phone has far more computing power than the Apollo lander did. It's political will. That's all. That's why advocacy organizations like Save Manned Space are essential in building support. Public educational campaigns will increase to the media, and to space advocates who's voices are essential in uniting support for real missions to the Moon, Mars and beyond. Many in Congress and the media don't understand that the space program returns far more to the economy in new inventions ('spinoffs') than the investment. And that's not counting the job creation, advances in science, inventions, inspiration for students to go into STEM careers, and even greater international respect. Step one for the next president is to cancel the nearly-useless Asteroid Redirect Mission, and replace it with the exciting "Apollo 8 for Mars," the 2021 Mars-Venus flyby, which can be accomplished with hardware already being built and tested--including the mission habitat which NASA is now developing. 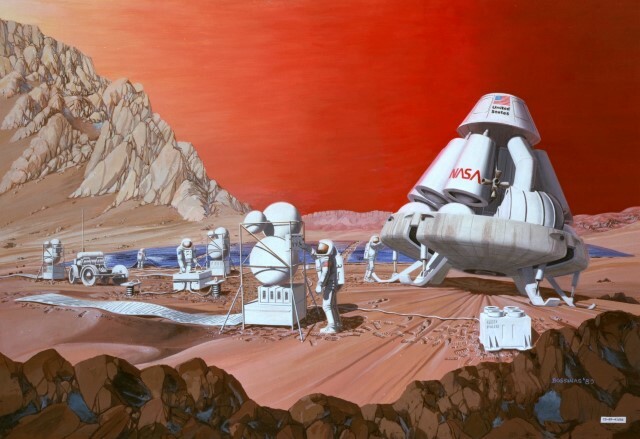 This should be approved in early 2017, while President Trump formulates the long-range national space strategy which will in fact make NASA's "Journey to Mars" a reality, not just a slogan and hashtag. 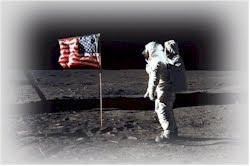 Concurrently, America must lead the way back to the Moon in the 2020s; to learn how to live on another world and then with lessons learned, go to Mars in the 2030s. The first 100 days of the new administration are especially critical to succeeding--or getting bogged down in the bureaucracy and changing nothing. Please donate now to help Save Manned Space offer the necessary public support. Donations are not tax deductible.